A group from the San Bernardino Museum learns the history of studies of the Garlock Fault from George I. Smith of the U. S. Geological Survey. 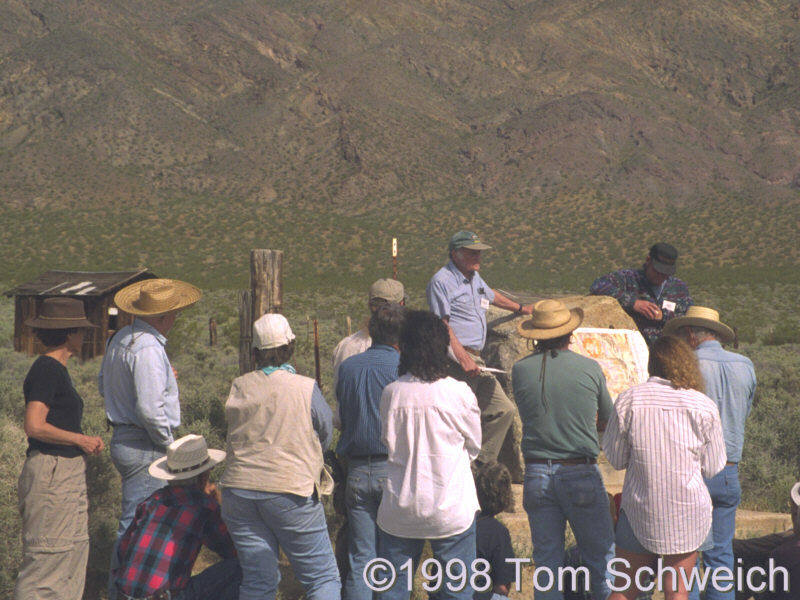 George's article, as well as the field trip guide used by this group can be found in Calzia and Reynolds (1998), which is available from the San Bernardino County Museum. Garlock Road, Central Mojave Desert, California: in Garlock. Other photos about Geography - Northern Mojave or Garlock.